Our most intensive skin rejuvenation treatment yet! A cutting edge anti-ageing treatment that promotes new collagen growth through a series of different treatments, including micro channeling and Cryo Oxygen. The results are incredible! Skin is firmer, fine lines and wrinkles are plumped out. COMCIT is also a fantastic treatment for pigmentation and acne prone skin. This innovative facial treatment from Crystal Clear has 4 simultaneous modes of action is designed to stimulate collagen production. This skin rejuvenation offers instant visible results without surgery and results get better as the collagen is produced after 4-14 days. Best of all? COMCIT allows the entire face and neck to be treated in a single session, with particular attention paid to your individual areas of concern. It also allows you to return to a normal lifestyle immediately, with no downtime or interruption to your daily routine. H20 Glow – Get red carpet ready! This amazing Facial delivers brighter, fresher, hydrated skin using the fabulous COMCIT treatment that glows with a youthful radiance by plumping and rebalancing the skin from the inside out. Enjoy a full cleanse and gentle exfoliation while tackling your skin concerns, stimulating collagen production and diminishing lines and wrinkles using the groundbreaking Crystal Clear COMCIT micro rollers. 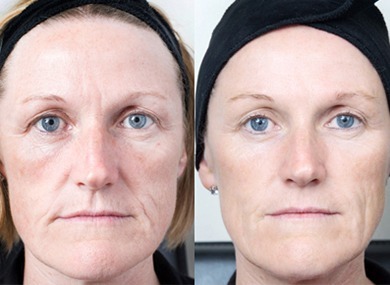 This is Crystal Clears breakthrough Facial and the results are incredible! Courses of 5 or 10 treatments are available. Book a course and receive a Free “Complex C” aftercare pack!